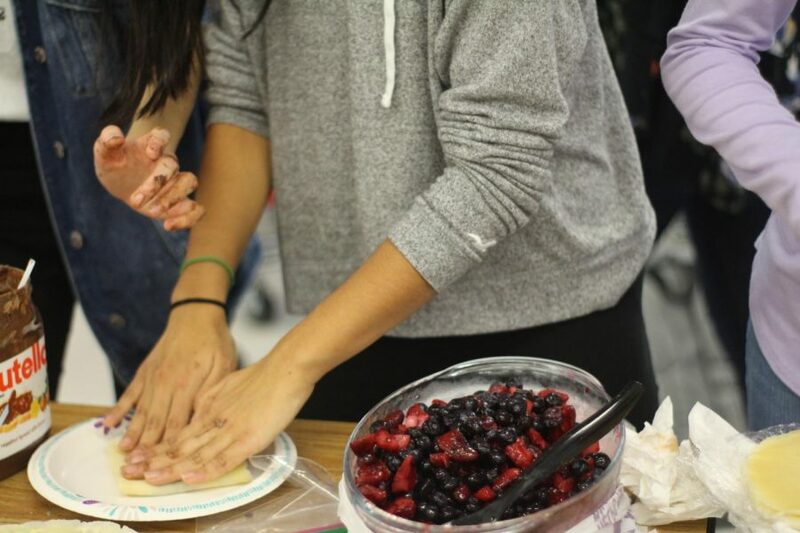 Freshmen Valerie Li and Catherine Pak build berry crepes. They worked this station with fellow freshmen Anika Karpurapu, Shreya Singh, Emily Chen, and Ashley Chen, folding customizable crepes with various toppings. “We made 250 dollars, but that was before subtracting the expenses,” Li said. Baseball Managers: Strike, You’re Out!